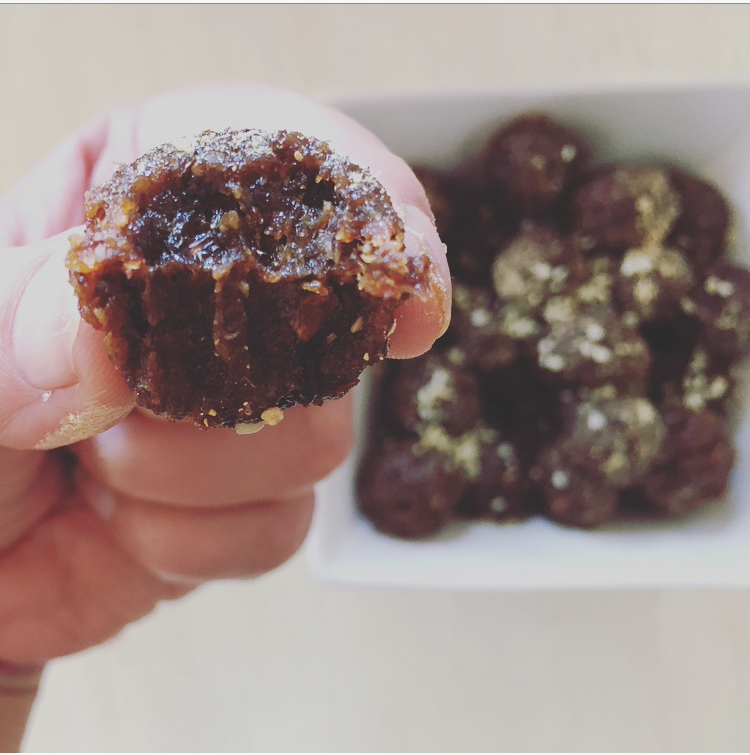 These 2 ingredient ginger date balls are perfect to keep in the fridge. A great snack when you are looking for something sweet but still extremely healthy. They are perfect to add to any lunchbox. Snack on during the day. The ginger balances nicely with the dates. These are packed with nutrients and so easy to make. Combine the dates and ginger in a food processor. If you are adding the raisins and hemp seeds, you can add them here as well. The food processor will break down the dates and when everything is formed into one big ball of dough. You know it is ready. Take out your dough and break off even sections. Roll them into balls and store them in an airtight container in the fridge. There are so many different options with these. You can add or roll them in cacao or coconut flakes.